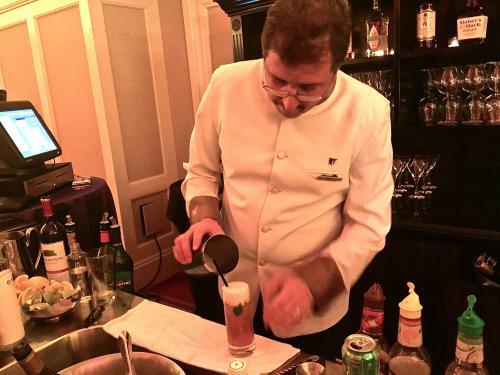 A guide to hosting an event at the JW Marriott Chicago Hotel. So you&apos;ve decided Chicago is the place for your soirée (great choice). Hosting events, while exciting, can be very stressful on the meeting planner. With a myriad of details to juggle, having a reliable, experienced partner is crucial. The JW Marriott prides itself a team that provides you with full support. The JW sales team brings their event expertise to you from the first interaction. By asking strategic questions about your event, they are able to take your ideas and breathe life into them. Whether you&apos;re more of a &apos;hands-on&apos; planner or not, the JW sales team adapts to and supports your management style. The food and beverage staff develops the cuisine and drink menus while their in-house design team, chock-full of resources, helps to create the look. An audio visual team ensures that your media needs are taken care of. And that&apos;s not all. To reward yourself after the event (or before, so you can be your best), you can treat yourself to their MoroccanOil Hydrating Hammam Experience. This includes relaxing in warm private chamber, which helps improve circulation and enhance mental clarity, and body cleansing with a MoroccanOil Fleur d’ Oranger Cleansing Bar enveloped in an exfoliation mitt. Next, to restore hydration and radiance to your skin, your attendant applies Moroccanoil Body Souffle (with shea butter), and then pulls MoroccanOil Intense Hydrating Mask through your hair. If you decide to add a signature massage to slay any remaining stress, you’ll receive a free glass of champagne. 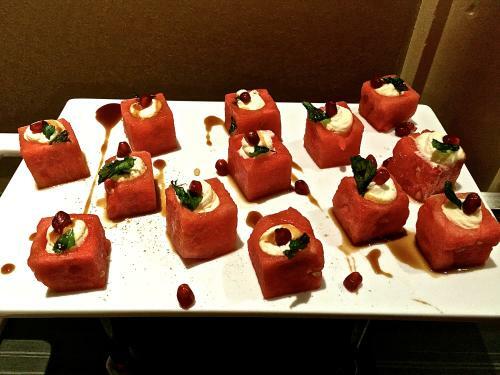 Browse the gallery below to get an idea of the creativity that JW Marriott brings to any event. …coupled with a Moroccan Mint Tea Cocktail with sweet tea, lime, vodka and mint. 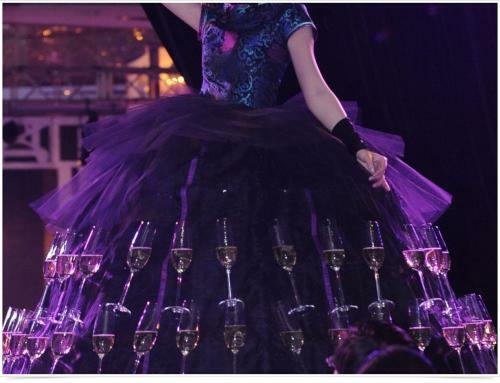 The hotel facilitated a creative merging of fashion and champagne for an event. 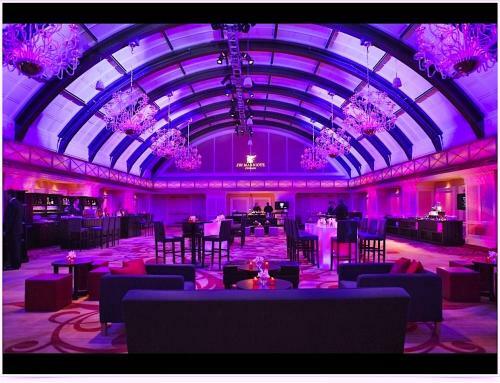 The JW Marriott converted one of their event spaces into a purple-tinged luxury lounge for a Prince-themed party. 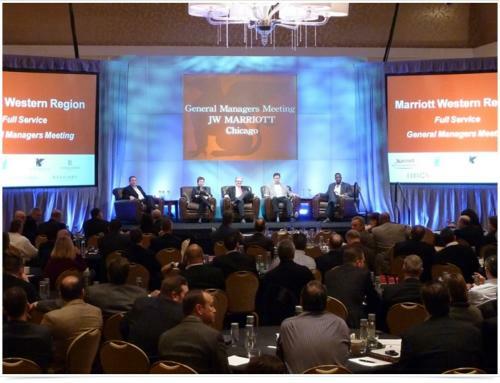 A peek into a panel that the JW Marriott hosted. The JW Marriott Chicago is located in the heart of downtown at 151 W. Adams Street, Chicago, IL 60603. Learn more about their Meetings & Events.